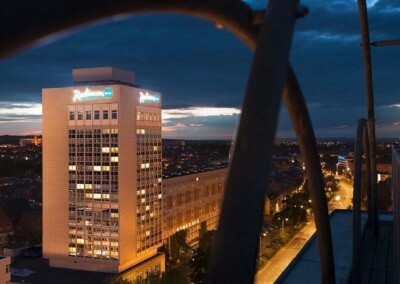 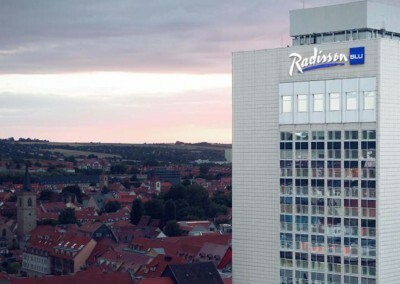 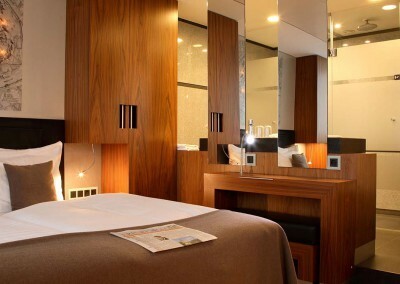 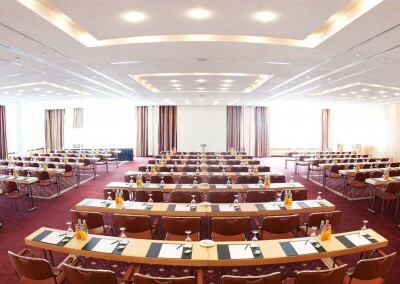 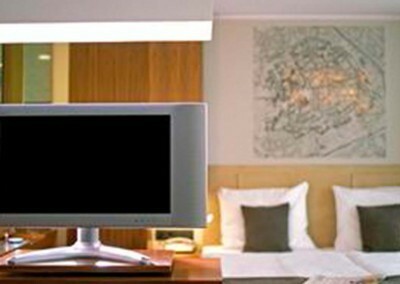 Radisson Blu Hotel Erfurt is an upscale accommodation downtown of Thuringia’s state capitol. 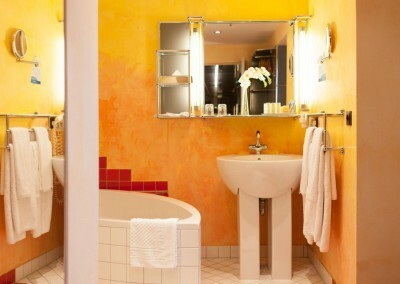 Close to Weimar this hotel provides 282 comfortable furnished rooms and suites as well as 11 conference and rooms offering an convenient stay in the heart of Germany. 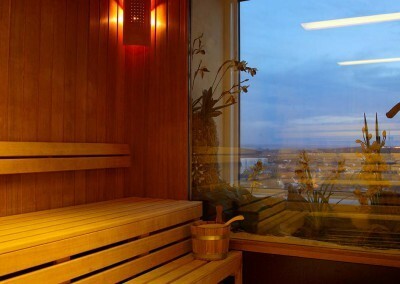 Walk in the footsteps of Goethe and Schiller and then relax in the wellness area at 60 m height. 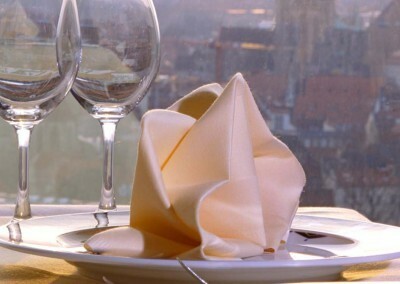 For treating you by the highest standards, choose to see the restaurant “Classico”. 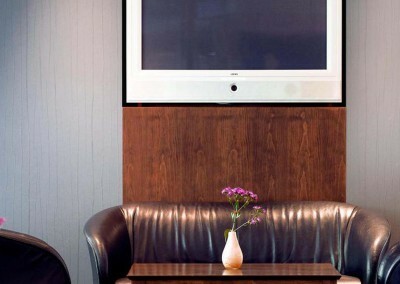 Enjoy convivial evenings and American dishes at the “SKY-Sportsbar”. 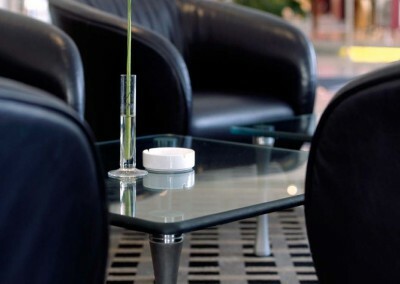 The hotel bar with its wide range of international cocktails is a popular meeting place not only for hotel guests. 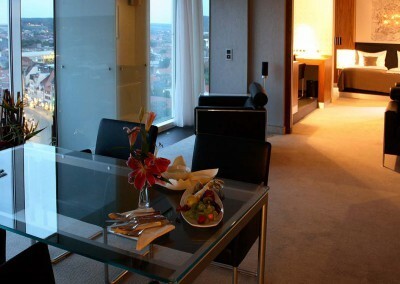 The second tallest building in Erfurt offers an incomparable view of Erfurt cathedral, citadel and the crooked roofs of old town’s half-timbered houses. 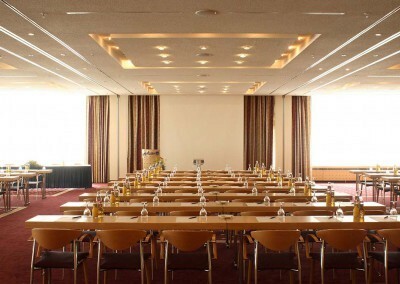 The panoramic floor on the top floor is a popular place for events in Erfurt.